What is in this webpage? Event Cards – How do they work? Program Patches to be earned – How does the scouts earn them. Subcamp Relay Race – How does this work? When you registered at the CTC each Patrol will get a pair or Event Cards that have all of the 750 or so events we are offering to the Scouting Youth. Some event Areas are only open in the AM, others are only open in the PM, while some are all open Day. This will be shown on the CTC Map and on each Event Card. Please only enter Event Areas that are “Open”. They may enter any “open” event Area and do as many events as they choose. Some events may require a certain age to do, or require permission forms. At your first CTC things may seem a little confusing, but after the CTC you’ll look back and have a much better understanding of the way the program is provide to the scouts. How does one earn the Program Patches? The example above is an older Event Card. The newer cards offer more…. Other Program patches to be earned – that are not on the card above. Perfect Inspection of your campsite – earn a patch. Relay Race Patch – Participant – For 1 ticket 1 person may race – See your Subcamp Staff. Each subcamp has 30 Race tickets x 13 Subcamps = 390 Racers …..plus Webelos “warm up” heats. Event Volunteer Patch – Help run events during the day, or at evening programs like the Campfire, vespers, etc. Scouting Excellent Patch – This patch goes on the ~ 200 plaques that are handed out to the Subcamp Troops for Scouting Excellence. Spares may be handed out at other events TBD. Summary – This is 12 or so Program Patches available for the Scouting Youth to earn… and these are included in your Registration Fees. Scouts walk away with ~ 9,000 of these Program Patches at the CTC. A pdf of the 17th CTC Event Cards showing the 24 Event Area Events on the 4 sides of the 2 cards may be reviewed by clicking on the link below. FYI – We will be adding more events to the 18th CTC’s Event Cards. CLICK here – pdf of the Events being planned for the CTC. The Relay Race is scheduled for 6:30pm to 8:15pm on Saturday Evening. We will run “warm up heats” for Webelos & AOL Scoutsto race from 6:10 to 6:30pm. The CTC conducts the race on an oval track in Heats. Subcamp staff has 30 race tickets in 3 age groups. NOTE – 1 Race Ticket per single Racer. Every year a group of 5 people show up to race with a single ticket. This is not how the system works…. 1 ticket 1 Racer. Please advise the youth in your troop of this should they get a race ticket. 30 Racers per Subcamp is a total of 390 Racers that may race and earn a Chariot Race Patch. We would like to complete all of the Race heats in 1 hour 40 minutes. Each heat is 3 age groups per Subcamp Team. 14 to 99 years of age. Yes, 99 years of age. Adults can also race! The Relay Race Schedule is on the CTC Weekend Troop Schedule at the Bottom RHS, and is on each and every ticket handed out to individual Racers. Watch the Heat #’s in the center of the Track. On the Ticket your Heat will be highlighted or under lined. Go to your start gate 2 heats before your heat to be ready. When it is your time to Race, show your Race Ticket to the Realy Race Staff. Remember – only 1 Racer per Ticket. If you are not there on time, we will find someone else to run in your spot! The Racers will be given directions before each heat. There are 5 Racers for each age group. Each Racer will get a Race Patch before the Heat. A white pole is the Starting Gate and will be lifted when the Team is ready. Race once around the Track to see who finishes first…. And good luck! Troop & Patrol Patches to be earned. Two new patches will be introduced in 2019 at the 21st CTC. Best Inspection patch for all attendees in 1 troop in each of the 14 sub-camps. Best Patrol – Events patches in each of the 14 sub-camps. Each patrol member will get one of these patches. Also note – The top 3 inspection scores in each sub-camp will receive 1 plaque per troop as in the past. The CTC has rented a large white tent for Trading Tent where we have 9 tables and 90 seats for all Traders to use as trading central. It is located along the Gravel Road beside the Dining Hall. We will be having approximately 300 Day Pass Cubs, plus 80 or so Webelos staying with Troops, plus a couple of hundred 1st year scouts in Troop. They need to be taught how to Trade fairly. So…..Please trade fairly, follow the scout oath, and have fun! Below is an Ethics pdf article from scouttrader.org which may be used as a guide. What is the Demolition Drag Derby? The track changes about half way through! It is a YOUTH RUN out door event, rain or shine! 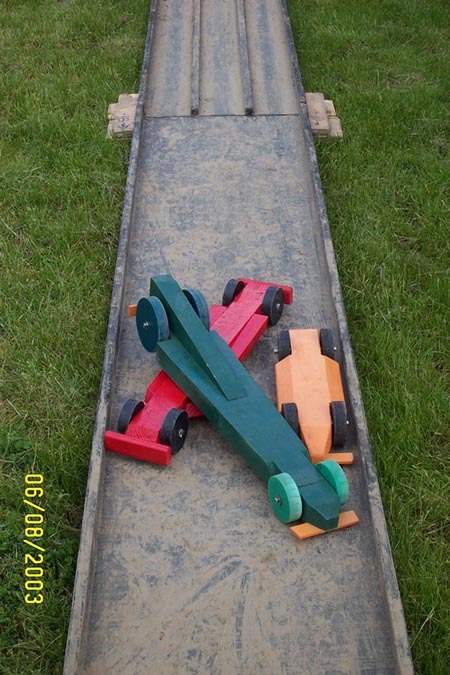 The Demolition Drag Derby (or 3D) was conceived and designed by Scouterdoug as an event at the 4th Challenge Trophy Camporee in Oct 2002. It is a youth run event. To participate in the next Demolition Drag Derby, just make your own car, see below for ideas and design restrictions. 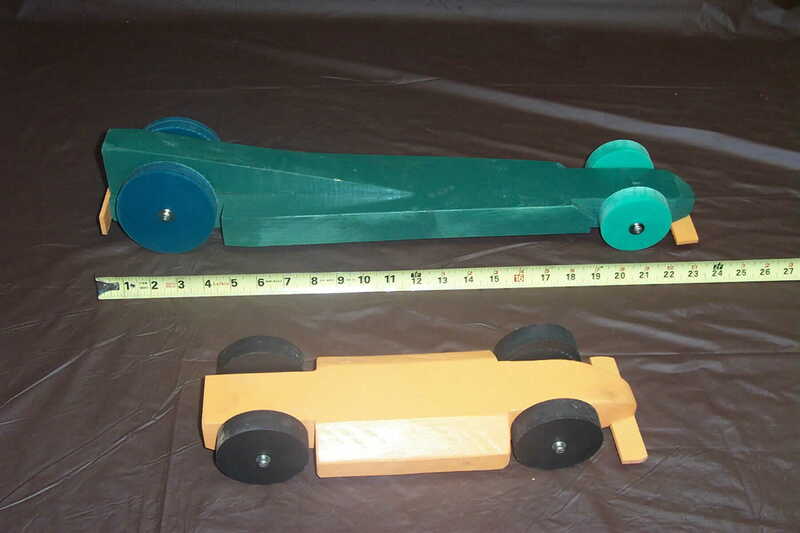 Sample drag cars are shown below. A design winning drag car (as an example of creativity) is shown below. Click on the car specs below to make your own car. Also on this page is information of a Basic Design Drag Car to help get you started. To see pictures of cars and the track see below. We do have several demo cars one can borrow to race, however, none of these cars will be in the running for any awards or recognition. If you have never made or raced a car before, come out to the scheduled event and use one of ours. Consider this a learning experience. Make a car or a track? This page is dedicated to pictures to aid in design of cars and to understand the race track itself. The cars and track are “staged” for illustration purposes only. Note the middle lane barriers that end, resulting in contact of the cars. Hence the name – Demolition Drag Derby. One may guess from the pictures below that at the previous derby we had plenty of rain and mud. That would be a correct assumption! The race was held in the rain! We put the OUT in scOUTing and had a blast! The picture below was taken from a view at the starting line during the Oct 2002 1st Demolition Drag Derby. Want to make your own track???? Need directions??? See Below! Track Specifications to Make Your Own Track! 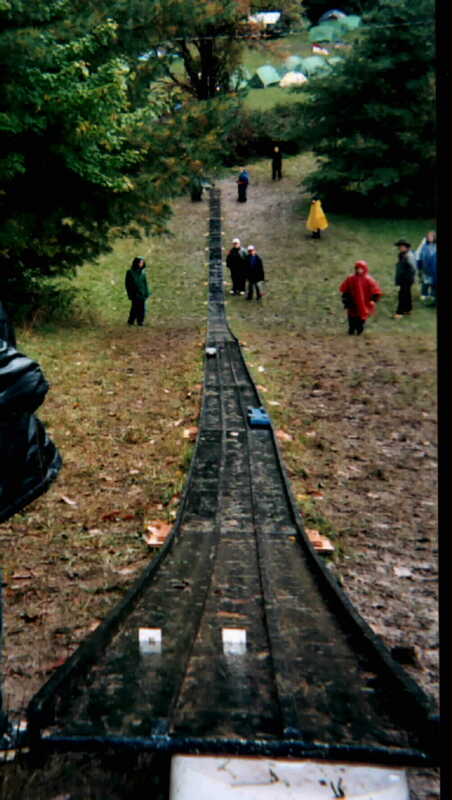 The DDD Track is made 100% of wood with outdoor glue and nails. Enamel paint protects the wood. In our case, we bought 3/4″ – 4′ by 8′ high quality plywood. It was ripped in three equal 8′ parts. When purchasing the plywood, the store will do this for you. The cut is critical because the track sections must be equal in width or the cars will hit the protruding sides. 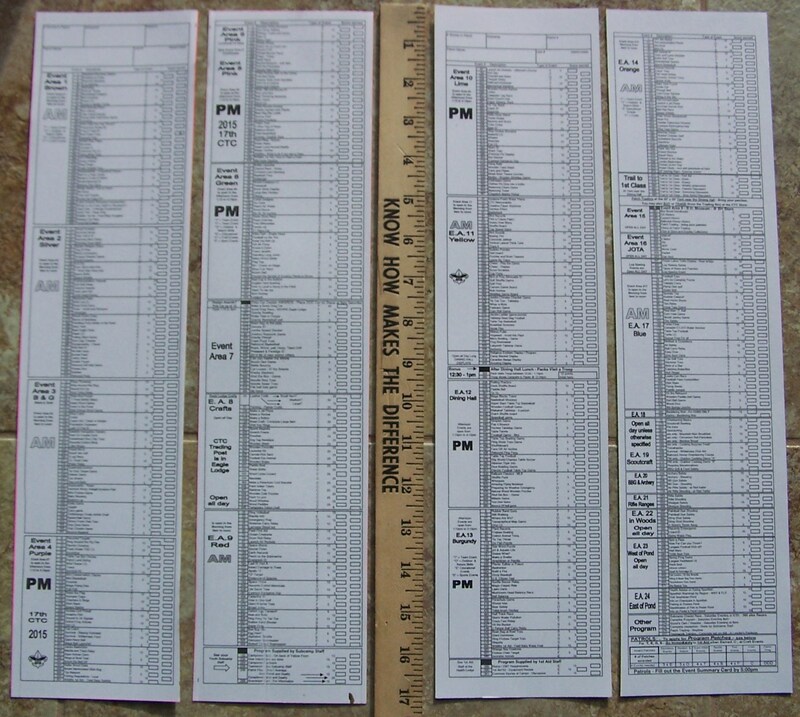 Should you have some that are narrower, you can use them for the side 3″ strips, or at the top of the track. Cars will not hit protruding walls if the part sticking out is after the narrower section. The side rails are 3″ strips of 8′ plywood. 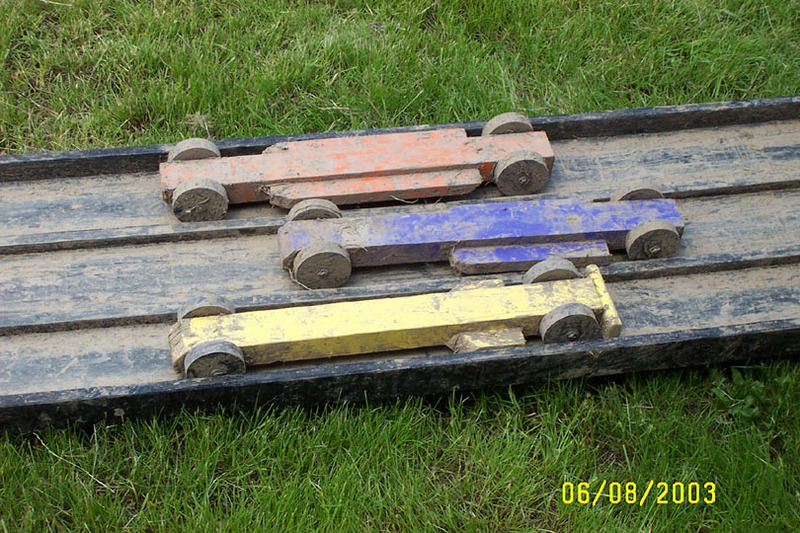 They are glued and nailed on the outside of the track. We made 18 – 8′ sections for a total of 144′ of track. Each section has a male and female end that interlock to provide a secure joint. The first 4 sections we used a 3/4″ strip of pine glued and nailed to the surface to act as lane side rails. Refer the pictures at this site. After these middle lanes end, full contact between the cars is possible. Below is a spreadsheet showing how the tract was designed. I must admit it is not totally clear but as volunteers, we do our best. We have provided information in a section in this website to make your own track. Please note that the designer of this event and author of the related literature, authorizes the use of literature, descriptions, pictures, etc. at no cost or charge to BSA, Scout’s Canada, WFIS, etc. for scouting events. Start your own “Demolition Drag Derby”. The goal is to make cars, tracks, and have fun! As for the awards to be provided? That is up to the youth to decide at your location. The youth may need a little guidance the first year for this event. After that, only fine tuning is required in future years. Refer to the original awards on the spec page if you need some resource material or ideas.